Anyways, back to the point of this post. I'm sure a decent amount of you have heard about the Physician's Formula Butter Bronzer. If not, I'm excited to introduce you to it! This product has a lot of hype around it right now, even though I believe it came out a couple months ago. I heard about the Butter Bronzer through one of my fav YouTube makeup gurus a couple weeks ago. Not long after that, several more of the makeup gurus I watch were talking about how much they love it. Since then, I have been itching to get ahold of it! It was hard to find, it seemed everywhere I went it was sold out, or they only had the lighter shade. I finally found it in the shade I needed ("Bronzer" instead of "Light Bronze") a few days ago, and I am IN LOVE! 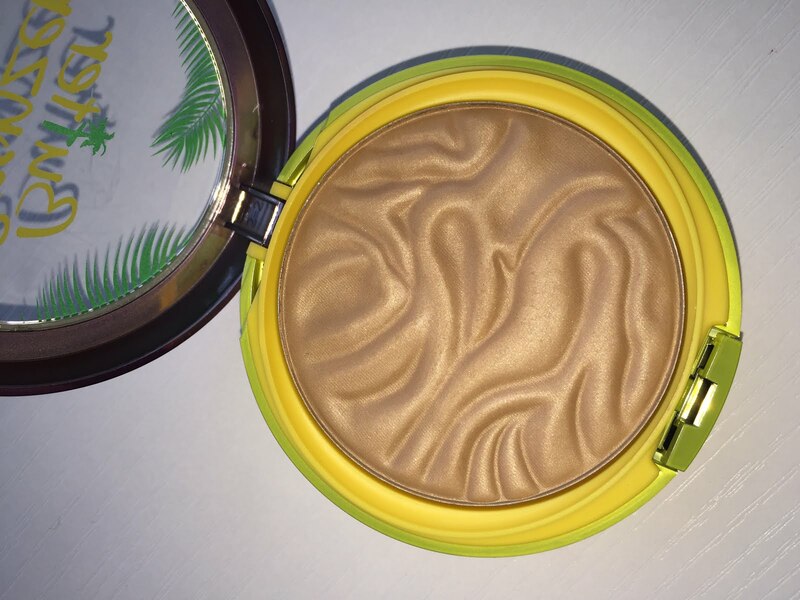 The butter bronzer generally retails for about $15. I got mine for $14.99. I haven't tried too many Physician's Formula products since they tend to be on the higher end of drugstore prices, but I'm so happy that I decided to give this little gem a whirl. 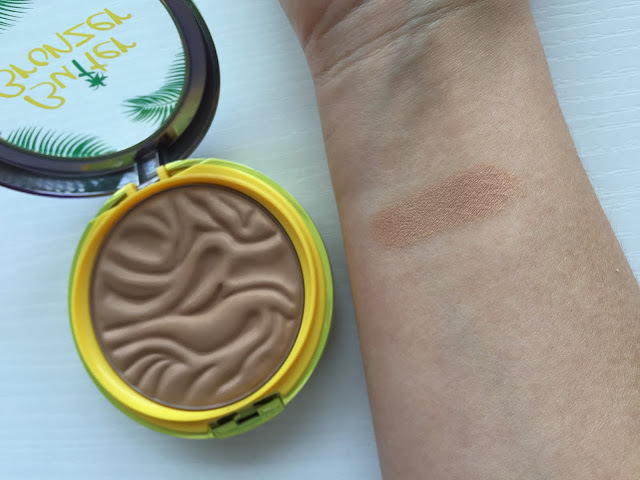 This bronzer is a cream to powder formula infused with Murumuru butter to "smooth skin texture, brighten skin tone and deliver a gorgeous bronze finish" according to the description on the packaging. It is also supposed to hydrate and soften the skin. I love products that have ingredients that help benefit your skin, and this one definitely does. Let's get into the actual review! 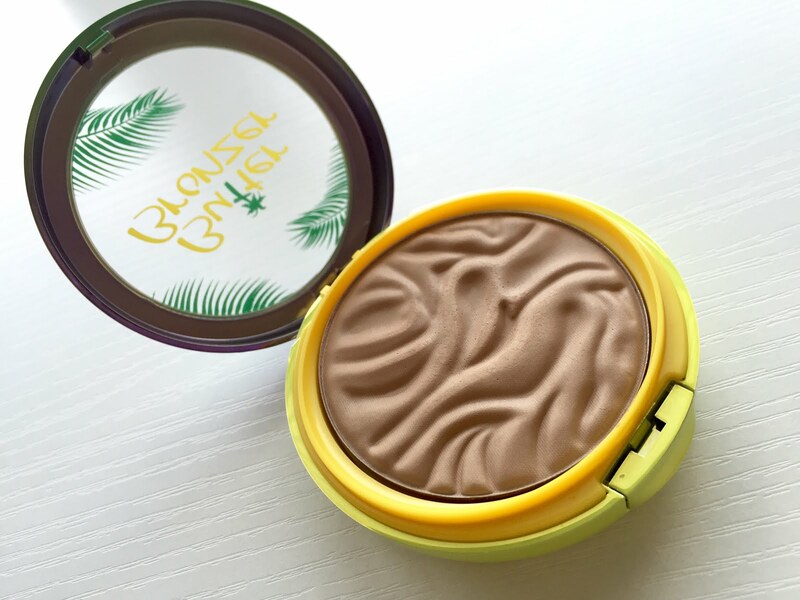 Packaging: The butter bronzer comes in a gorgeous purple, yellow, and green ombre tin with palm tree detailing. It has a button to press on the outside that clicks the lid open. It also has multiple layers of packaging. When you open it you see the bronzer, but after lifting up the bronzer layer you get to a section in which the mirror and applicator is included. It's not super compact, and some might consider it bulky, but I absolutely adore the packaging! Scent: OH MY GOD. I have never smelled anything more incredible in a makeup product my entire life. To me this smells like coconut suntan lotion, and reminds me of laying out on the beach and everything to do with summer. Some say it smells like a Pina Colada. Whatever it actually is, it's amazing. Hearing people talk about how good it smelled is what made me originally want to try it. However, if you don't like strong scents in your products or if you hate the smell of coconut, I would stay away from this one. I can still smell it on my face for a while after application (which I love), so it is really strong. I want a lotion that smells like this! Get on it Physician's Formula! Formula/Texture: This product is true to its name. It has an incredibly soft and buttery feel to it, which is what I expect from a cream-to-powder formula. This definitely stays on the side of a powder more so than a cream however. It doesn't contain glitter, which makes it great for an everyday, subtle bronzer. It has a slight sheen to it that creates a nice glow. Pigmentation: This has good pigmentation. It is not extremely pigmented though, which I actually prefer in bronzers because it allows you to build it up to your desired look. It can create a subtle glow or a darker sun kissed look if you build it up. Staying Power: From the times I have worn this so far, it has good staying power! It lasts the majority of the day. I have oilier skin, so it might have better staying power on someone with dry skin. It fades evenly. Applicator: The applicator that was included with this is a thin sponge with a handle. I'm not a fan of this. I find that a brush works perfectly to bronze up the face. The sponge creates a patchy look in my opinion. Overall Product: Overall I absolutely love this product! It is my new go-to bronzer. This is a fantastic product to have with summer right around the corner. It applies well and blends beautifully, and doesn't look muddy on the skin. It is a semi-matte finish that leaves you with a slight glow. I love that it is not too orange or too red; it is a perfect neutral tone that is very flattering and natural looking. The packaging and the ripple design of the product is visually stunning. The only cons of this product that I can think of is the applicator, the fact that it is a limited edition product (*sobs*), and the shade selection. There are only two shades available in this bronzer. One is "Light Bronze" that did not show on my skin tone what-so-ever, and then there is "Bronzer" which is the one I own. I'd have to say that if you have a darker skin tone than I do, it probably will not show up on your skin at all. They need to come out with a deeper shade, I'm worried that I won't be able to wear this when I get tanner. With that aside, I highly recommend this product! 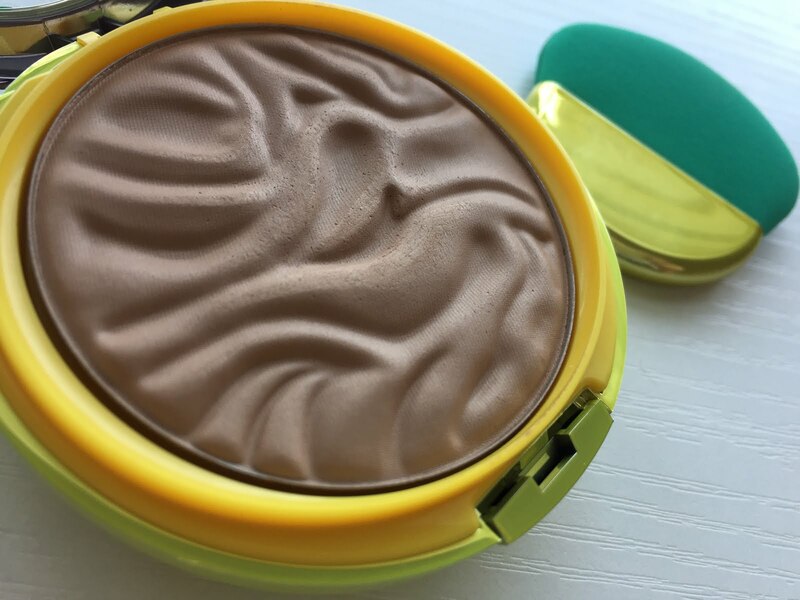 If you're on the market for a new bronzer, or just want to add to your collection, go check out the Physician's Formula Butter Bronzer, it won't disappoint! I've been curious about this, I think I'll give it a try now! I shared this with my girlfriend. She would love this, I am sure! What do you think about Estee Lauder as a brand? I wrote an entire post about how big the company really is.